It would be squarely within the circle of conflict of interest if Justice Dipak Misra were to be considered for the post of Lokpal. New Delhi: Close on the heels of his retirement, speculation is rife on whether outgoing Chief Justice of India Dipak Misra will be India's first Lokpal. But the proposition seems far-fetched and bereft of certain fundamental realities. Justice Misra has already sat in at least three meetings of the Selection Committee as its member. Under Section 4 (1) of the Lokpal Act, the Selection Committee is headed by the Prime Minister, and includes the Chief Justice of India or a judge of the Supreme Court nominated by him, apart from other members. 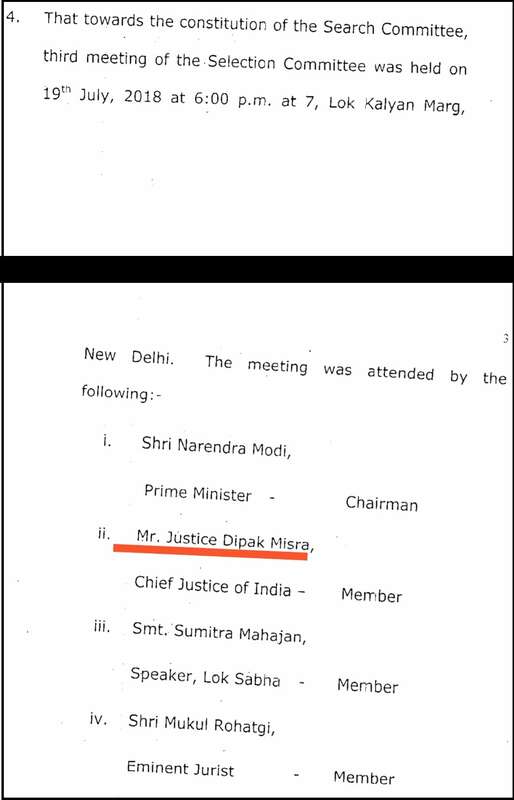 After taking over as the CJI in September last year, Justice Misra did not nominate any other judge to participate as a member in the meetings of the Lokpal Selection Committee. He took part in the deliberations himself. 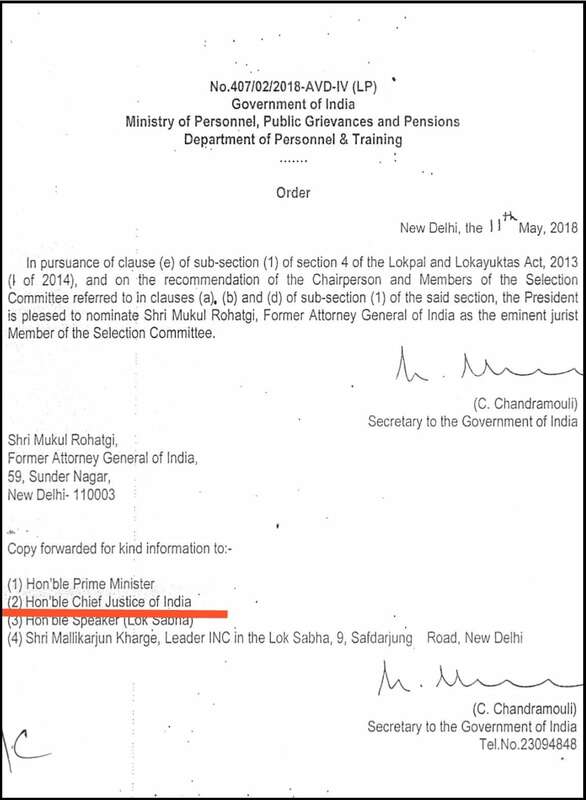 When senior advocate and former Attorney General Mukul Rohatgi was, in May, picked as a member of the Selection Committee in the capacity of an 'eminent jurist', Justice Misra was a participant of the meeting. Similarly, in July, Justice Misra participated in yet another meeting to have a roadmap ready for putting in place the Search Committee. 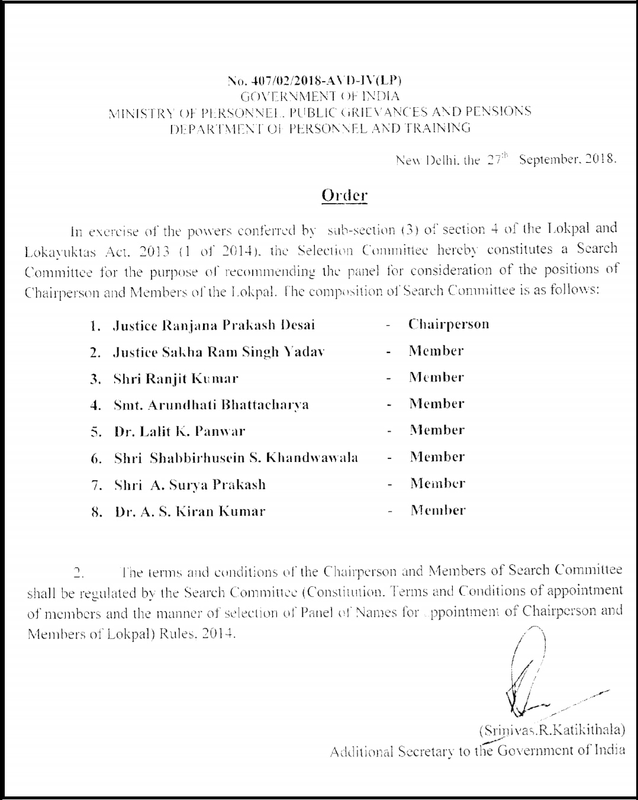 It is the Search Committee that has to shortlist names for Lokpal and other members of the panel and forward them to the Selection Committee for finalisation. On July 19, when it was decided to have a Search Committee expeditiously and to further lay down for it certain deadlines to shortlist names, Justice Misra was a participant. Again in September, Justice Misra was one of the participants when the Search Committee was finalised and a notification to this effect was issued on September 27. 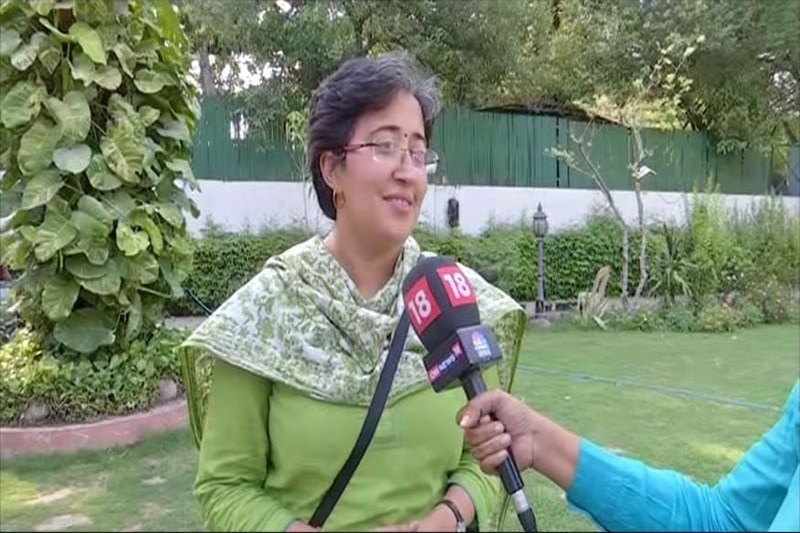 So, just the reason of his having been a participant of all these meetings and a party to these decisions make Justice Misra a highly improbable candidate for being even in the contemplation as the Lokpal. Search Committee cannot recommend a person who has been one of the decision-makers in naming the members of that Committee. Likewise, Selection Committee also has a member (Rohatgi) who has stamp of approval by Justice Misra. It would be squarely within the circle of conflict of interest if Justice Misra were to be considered for this post. One can expect a deluge of PILs against such an appointment. Add to this the spate of controversies Justice Misra had in his tenure and one can easily see this as a most convenient tool to kick up a storm once he demits office on October 2. It appears that Justice Misra, perhaps consciously, has disabled himself from being in the race of becoming India's first Lokpal.